Ten yards of wood chip mulch is slowly added to the garden. The chips are moved from the front driveway to the garden area by wheelbarrow. It is spread by hand in the row. rows. 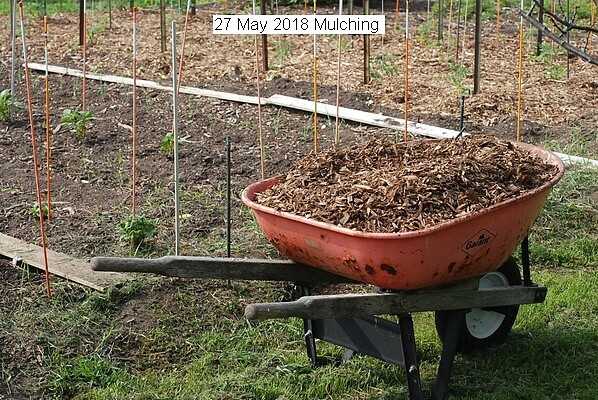 This entry was posted in Uncategorized and tagged 27 May 2018 Mulching, mulching. Bookmark the permalink.